On Wednesday 2nd March a team of Year 9 and 10 students participated in the Brisbane round of the Science and Engineering Challenge at University of Queensland. 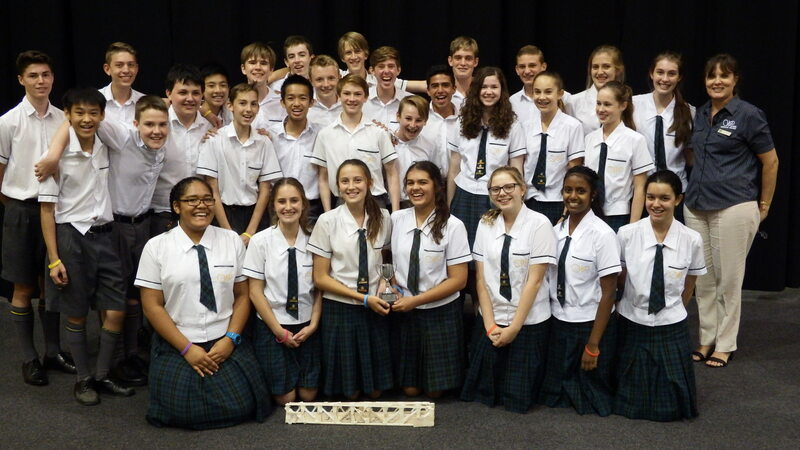 Team poses for a photo after win in Brisbane round of Science and Engineering Challenge. automatic entry to the State or even National Finals in Hobart in October. This is an outstanding achievement and just reward for the hard work and outstanding team work our team displayed. Our thanks and congratulations also go to Instructional Dean, Nola Leverton for her thorough preparation of our team before the event and encouragement and direction on the day itself. Video highlights from the day can be seen here.